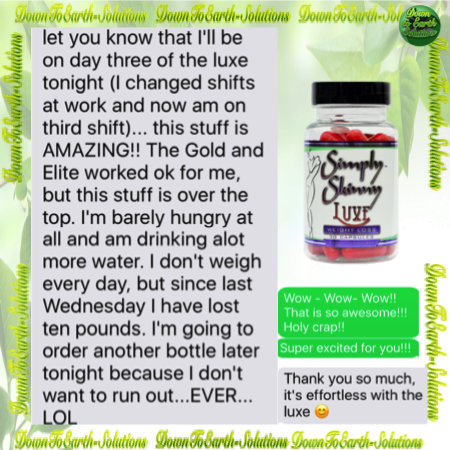 Check out the AMAZING LUXE REVIEW we just got! 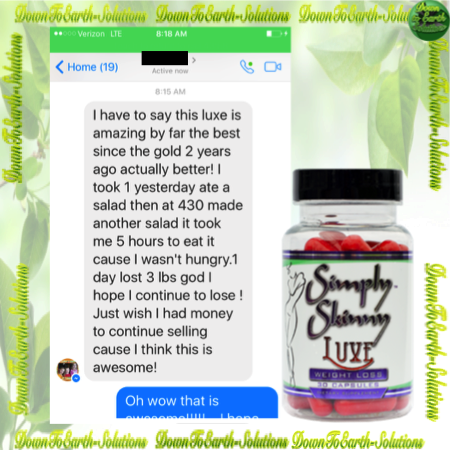 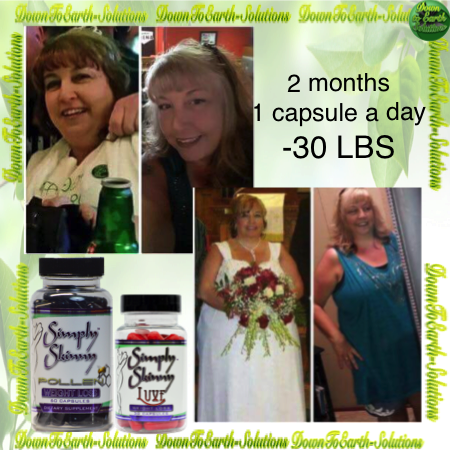 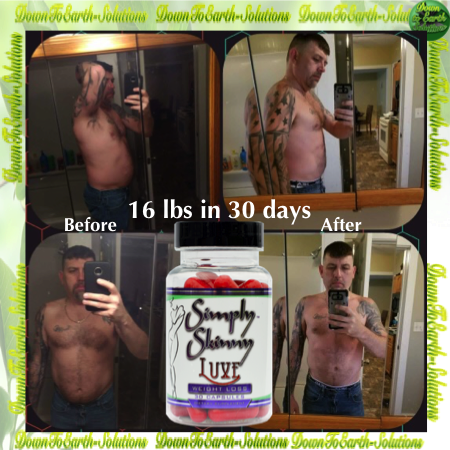 UPDATE: He has now lost another -18 LBS from Simply Skinny Luxe with a grand total of 83 LBS on Simply Skinny® products!!! 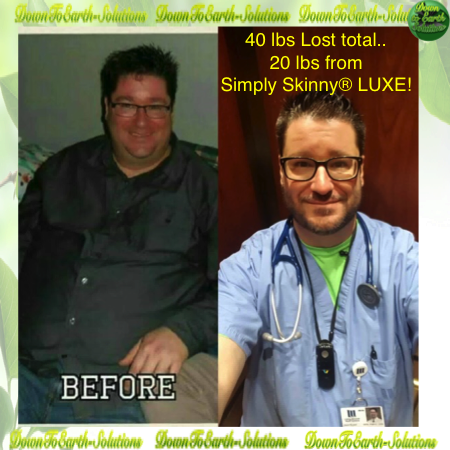 Chris had originally lost 65 lbs in 7 months and was down 5 pant sizes and 4 shirt sizes on 2 Simply Skinny Gold in the am. 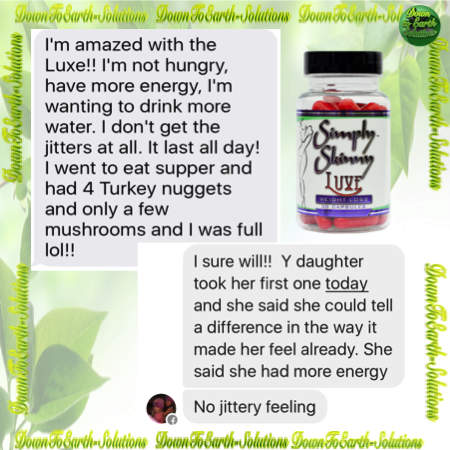 Jason's product of choice is Simply Skinny Luxe! 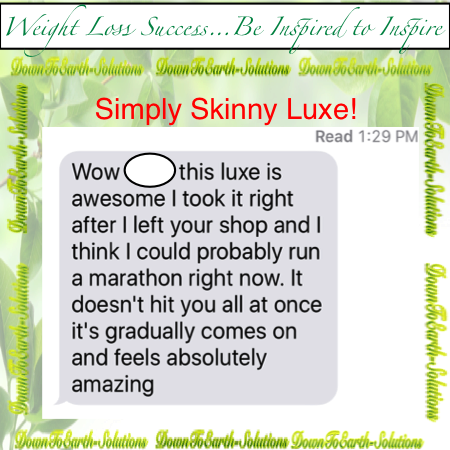 He contributes Simply Skinny & exercising, a big part of his weight loss success! 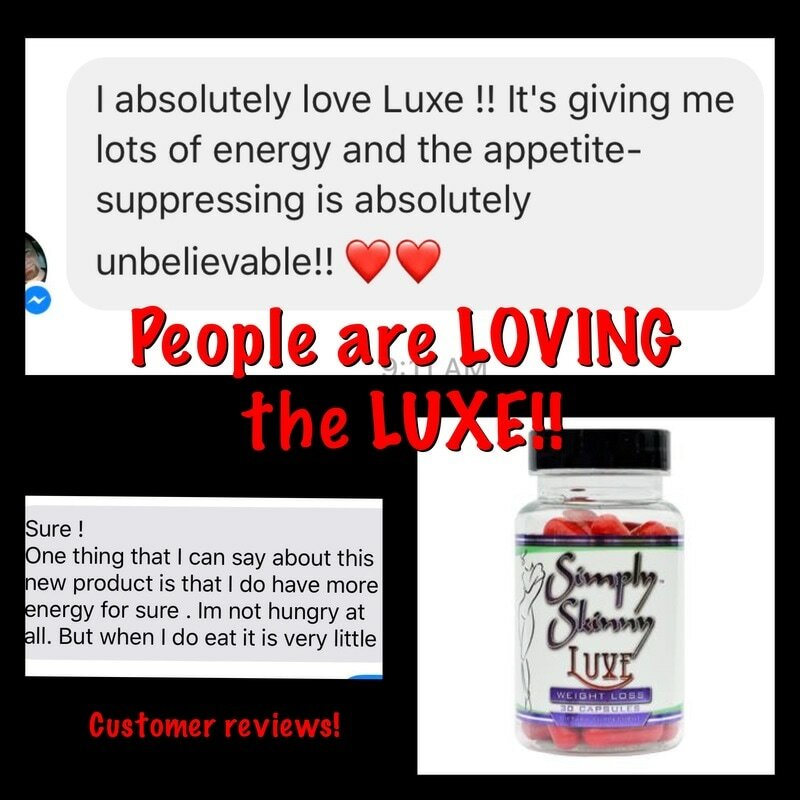 I feel like my weight-loss has started back up at a steady pace again I have been in no consistency, taking either one elite in the morning, and some days one luxe in the morning. 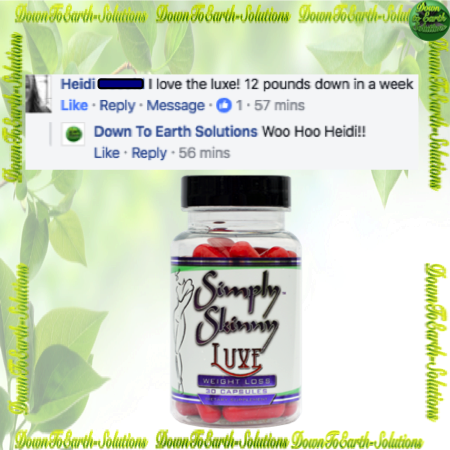 I feel like jumping back-and-forth between either one of these has really helped me get going again. 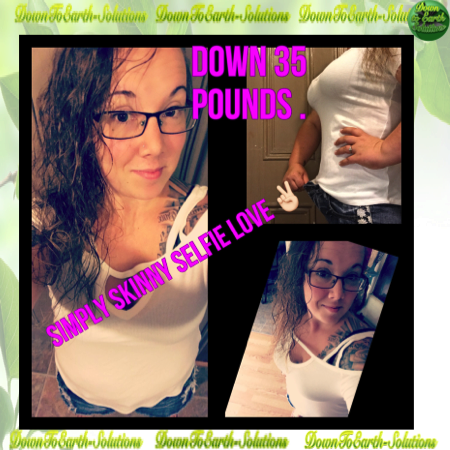 In the picture the jean shorts that I have on which were one of my favorites I've been able to wear all summer but they've been quite snug! 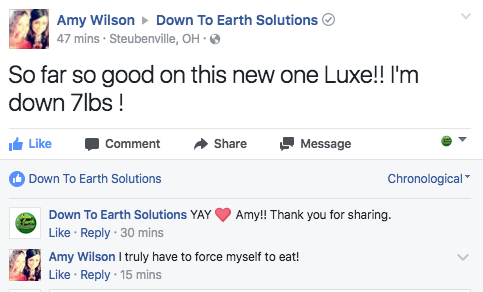 Now they're starting to fall off of my hips!